He complains about his Board, the FA, Alex Ferguson, Everton and everyone else he can complain of. I have no doubt, that he is the biggest whiner in EPL taking over from Arsene Wenger. He can call a team 'small' just because the team defends for their lives, since that team dont have the players to beat his players, and then visit that 'small' team and defend like hell; His team cant even penetrate that team for 75 minutes with 11 men; before his midfielder got sent off. If he does the same against Chelsea, MU or Juventus, it's ok. He spent 190 million Pounds and expect a team who spent 30% of that to attack his team; and when that team does not attack, he calls them a 'small team'. Hs has no sense of logic. I find Benitez to be a Manager of poor judgment of words, and possibly poor judgment of tactics. But I really dont care. 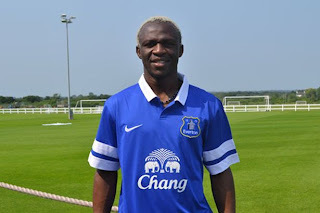 He is not managing Everton (thank God for that! ), but I hope he has some respect for other teams. Perhaps he should harness all that energy he uses to complain, to do what he is paid to do, manage a team. 'There Will Be Other Heroes"